Keeping in my that UNF is a small part of the thriving city of Jacksonville, there are plenty of hotel options. The airport is within 20 miles of the school as well as the Port of Jacksonville with a lot of hotels close to those areas so the availability of a hotel close to the school will be great. It is a good idea to stay with one hotel chain allowing you to accumulate points to earn free night stays or other rewards offered by that particular program. The other important point to consider is that there are peak weekends in Jacksonville where it could be difficult to get a room, so I always recommend booking a hotel far enough in advance to get the best rates. 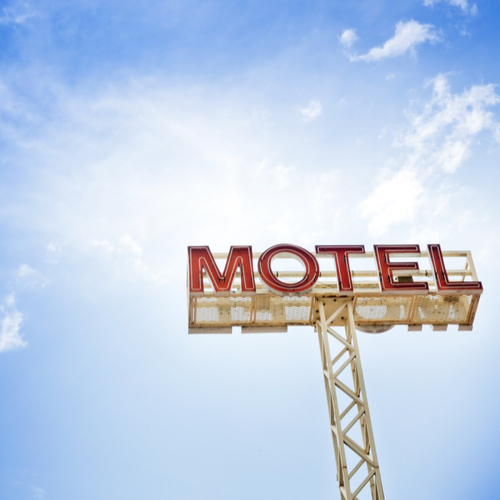 Most hotels will honor AAA and other discounts. For those who are traveling with pets, the hotels that are pet-friendly include Hampton Inn and Suites, Holiday Inn Express, Residence Inn Butler, Sheraton Jacksonville. Homewood Suites by Hilton – 8511 Touchton Road, Jacksonville FL. Make yourself at home in a studio, one- or two-bedroom suite, all with a fully equipped kitchen and a separate living area with sofa sleeper. Start each day with a complimentary hot full breakfast. Hampton Inn and Suites Deerwood Park – 4415 Southside Blvd, Jacksonville, FL. Start the day right with Hampton’s free hot breakfast. This hotel is conveniently located near the University of North Florida and is pet-friendly. Hilton Garden Inn Jacksonville JTB/Deerwood Park – 9745 Gate Pkwy North, Jacksonville, FL. This hotel is just minutes from the University of North Florida and provides a refrigerator, microwave, and Serta mattress. Tru by Hilton Jacksonville St. Johns Town Center – 4640 Tropea Way, Jacksonville, FL. The hotel will be completed and accepting reservations beginning January 2019. Homewood Suites by Hilton Jacksonville-South/St. Johns Center – 10434 Midtown Parkway, Jacksonville, FL. Choose from one- and two-bedroom suites. Prepare meals in your fully equipped kitchen or take advantage of our complimentary hot full breakfast served daily, and evening social offered Monday through Thursday. Marriott – The Marriott Brand has 3 different hotel brands near UNF. Aloft Jacksonville Tapestry Park – 4812 Deer Lake Drive West, Jacksonville, FL. Perfectly positioned between the business district, downtown, and beaches. Minutes from dining, shopping, and UNF. Residence Inn Jacksonville Butler Boulevard – 10551 Deerwood Park Blvd. Jacksonville, FL. The pet-friendly hotel’s spacious studio, one- and two-bedroom suites feature fully equipped kitchens and plenty of room. Sheraton Jacksonville Hotel – 10605 Deerwood Park Blvd. Jacksonville, FL. Close to downtown, UNF and St. Johns Town Center. This comfortable, newly renovated hotel offers complimentary coffee, tea, and daily newspaper. Holiday Inn Express Jacksonville Beach – 1101 Beach Blvd. Jacksonville, FL. Just a few blocks from the beach, this hotel offers a free shuttle to and from the beach, complimentary breakfast, coffee served all day, laundry facilities on site and a complimentary fitness center. Holiday Inn Express and Suites – Jacksonville South – 4675 Salisbury Road South, Jacksonville, FL. Closer to UNF and the business area this hotel offers complimentary breakfast, coffee served all day, laundry facilities on site and a complimentary fitness center. If a quaint, Bed and Breakfast stay is more the type of place you are looking for, Gainesville has several options for you to consider. St. Augustine is a 30-minute drive from UNF and there you will find a load of hotels and historic Bed and Breakfast homes as well. And while visiting, check out our restaurant recommendations for breakfast/brunch and dinner.